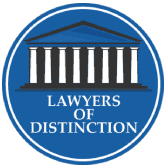 A misdemeanor or felony charge in Dawson County, Nebraska can severely impact your life. Even a low-level misdemeanor can affect your ability to get the job you want, or if you are convicted of drug charges, your eligibility for student loans may be negated. While those ramifications also apply to felonies, the possibility of imprisonment and devastating fines are additional consequences. If your future is at stake, you need an elite-level criminal defense attorney with an aggressive approach and impeccable knowledge of the law. 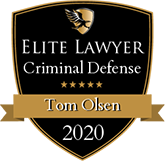 When you entrust Olsen Law Offices, P.C., L.L.O.. with your case, you get that and more with Attorney Tom Olsen, a Former Assistant State Attorney General and Assistant Omaha City Prosecutor. 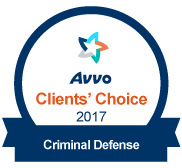 With three decades of trial experience, Attorney Olsen has successfully defended thousands of clients facing serious criminal allegations. 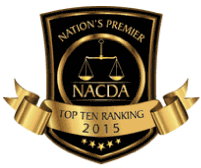 As Nebraska's premier criminal defense lawyer, he is the trusted legal advocate to have by your side. If you were arrested on marijuana charges, including possession with intent to distribute, drug manufacturing, or drug trafficking, you can trust Attorney Tom Olsen's vast experience to help secure the most optimal result. This includes Interstate 80 traffic stops and drug dog searches involving the transportation of legally purchased cannabis from Colorado, as well as cocaine, methamphetamine, and heroin charges. Remember, while it might not seem like it at the moment, you are innocent until proven guilty. If you were a victim of illegal search and seizure by police or your rights were violated in any capacity, Attorney Tom Olsen will pursue a full dismissal of all charges. Otherwise, he will negotiate with prosecutors for reduced charges and National Safety Council, Nebraska Diversion Program eligibility for first-time drug offenders. For individuals from outside Nebraska arrested on drug charges, Attorney Tom Olsen works to secure bond terms that allow them to return home. He then asks the court to waive that person's appearance at their initial hearing so he can appear for them and enter a plea. Attorney Olsen strives to limit court appearances until the final stage, typically for either a dismissal due to police illegality or a plea deal. Among Attorney Olsen's goals in possession cases is to keep them in county court. This is accomplished by bumping a charge down to a misdemeanor through negotiations with prosecutors, most of whom know Attorney Olsen and his reputation. Do not worry about whether being an out-of-state resident will affect your case. Attorney Olsen has achieved favorable outcomes for clients arrested in Nebraska on narcotics charges from every area in the continental U.S. If you face any of the aforementioned criminal charges, call Olsen Law Offices, P.C., L.L.O.. immediately at 402-598-5789. With a free consultation, Attorney Tom Olsen will carefully analyze your case and detail how he can help. 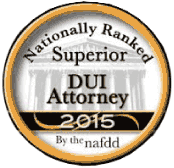 Contact an accomplished 24/7 Dawson County defense lawyer who will fight for you. We also serve clients in Lincoln, Lancaster County, Lincoln County, Papillion, Sarpy County, Seward, York, York County, Aurora, Hamilton County, Grand Island, Hall County, Kearney, Buffalo County, and North Platte.